How do I use Icon Charts? Icon Charts are a great way to visually represent data. 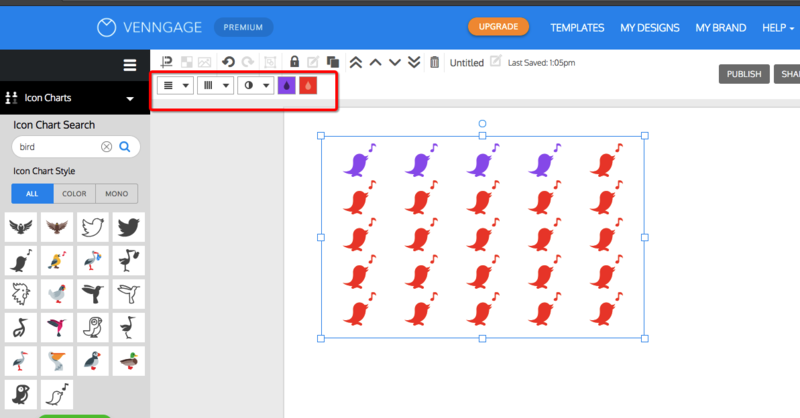 To use our Icon Charts click on Icon Charts on the left panel, and drag the desired icon onto your workspace area. You can modify the diagram by changing the number of rows, columns, colours and fill percentage.